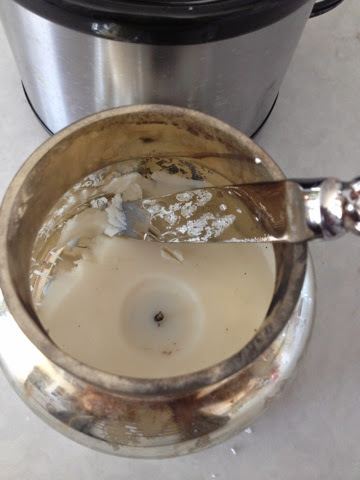 Don't you hate it when your favorite candle burns to the end leaving precious remnants of fragrance behind? No? Then stop right here and go buy yourself another candle! Yes? Then this post is for you! To be fair, I used to throw out candles all the time until I thought about using my warmer! Why hadn't that ever dawned on me?! That is why I am writing this post to share with YOU now! 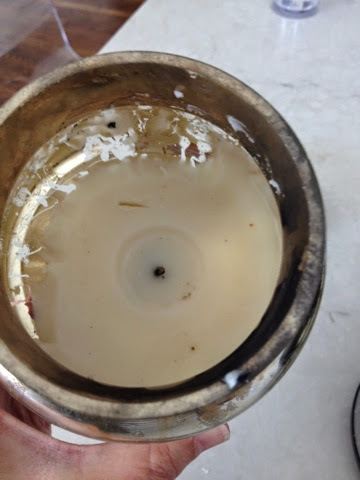 I am at the end of my favorite candle and have a quarter inch left of wax! This is so frustrating. Enter my wax warmer. And put it in the wax warmer. I use two to three tablespoons. Still have enough left to last a few more times!! 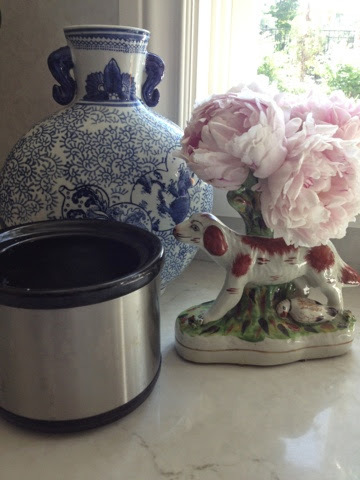 Plug in the warmer (never leave the warmer on unattended) and enjoy your fragrance for many more hours!! On a side note, I think I need to find a prettier warmer :) Any suggestions? 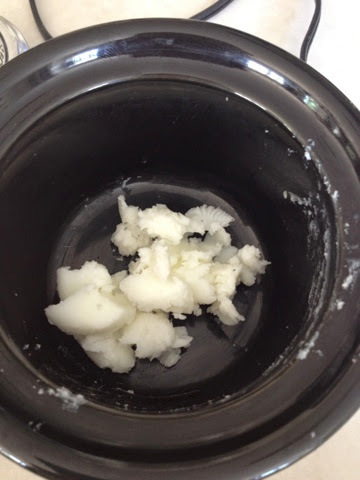 What do you do when you are left with extra wax in your candle? Leave me a comment or question! I love to hear from my readers! Follow my blog and I'll follow you right back! I've never tried that, I should! I have the same blue & white vase you have on the background! Such a great idea, Emily! 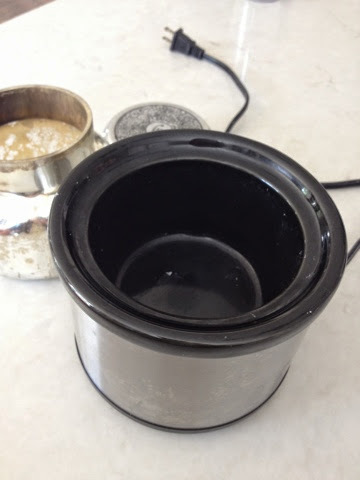 I've used a mug warmer before with a candle in a glass jar that's on it's last leg. 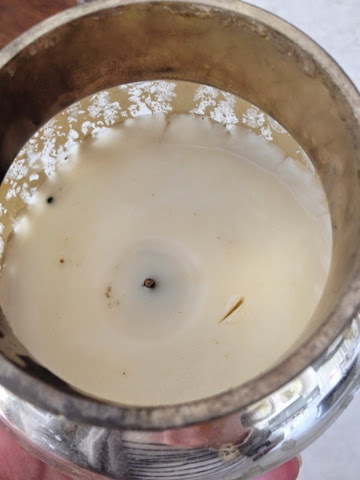 I love this trick because by favorite candles are always pricey, and this would give me the most bang for my buck! I do the same thing with candles. As for the warmer, I kind of hide it behind something. Coming to say hello from Jennifer's place. I love, love, love your kitchen. Nice to browse your blog and see more of it. I clicked the follow button so I can keep up with all the remodels, the bath is looking good so far. Welcome to our Scented Candles site, we are offering buy candles, candles for home, home candles, the candle company, soy candles, fragrance candle, candles for less, scented candle. Don't you hate it when your favorite candle burns to the end leaving precious remnants of fragrance behind? No? Then stop right here and go buy yourself another candle! Welcome to our Scented Candles site, we are offering buy candles, where to buy candles, candles to buy, candles in jars, fragrance for the home, shop candles, candles for home, home candles, the candle company, soy candles, fragrance candle, candles for less, scented candle.